This week’s recipe is specially created for sharing with someone special. A selection of indulgent chocolate truffles and an elegant prosecco cocktail. 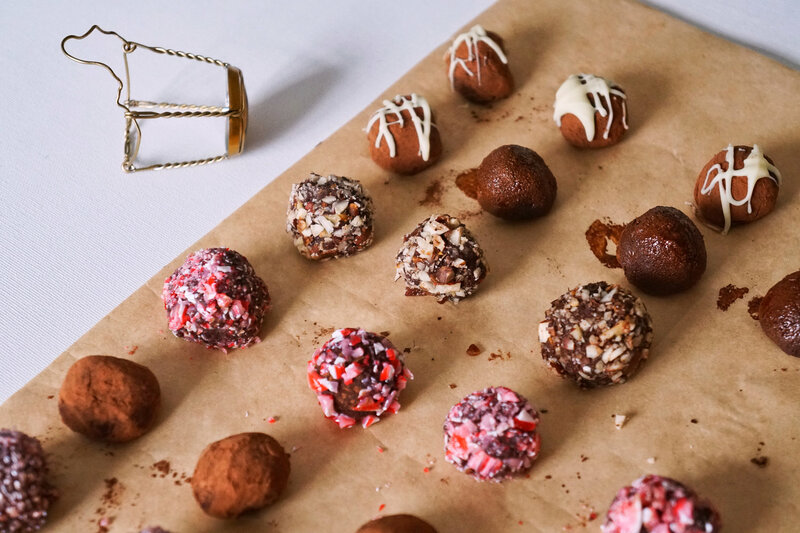 The truffles make the perfect homemade gift for your love on Valentine's day, or you can enjoy them as an after-dinner treat. They're quick and easy to make, and you can personalize them with different flavours and coatings. Packaged up they look impressive and you don't even have to spend much money on them. The great thing about this recipe is that it only uses a little Prosecco, leaving you with the rest of the bottle to enjoy. Using the leftover prosecco you can make a simple yet elegant cocktail to impress. Heat the butter and cream in a saucepan while you chop the chocolate up into small pieces. Roll the chocolate around on the plate till it is coated and has formed a ball shape. Place on a tray lined with grease-proof paper, then place in the fridge to firm up. Place inside mini muffin or truffle paper cases. Use tissue paper and a perfume box to present them. Finish off the night with a splash of something special, this is easy to rustle up and something a little bit different for your date and it makes it look like you went to a bit more trouble. 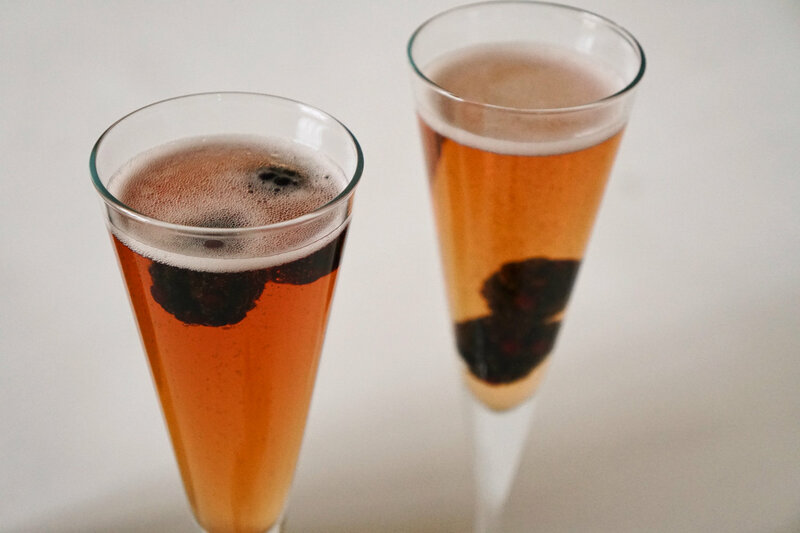 To make this add a splash of sloe gin to a glass, top off with prosecco and add a blackberry to garnish. Enjoy!